The southern hemisphere is full of "deep-sky wonders" as much as the northern hemisphere. 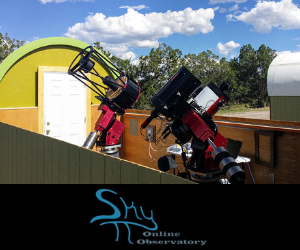 Having access to remote robotic telescopes in locations such as New South Wales, Australia, allows us northern hemisphere observers to image and research a whole new frontier. Here is an image of NGC 3372, The "Carina Nebula" captured by Michael Petrasko on the evening of April 26, 2013 (local time NSW). This image was taken with a full moon in the sky at the time. Its clearly evident that there is no "wash out" from the light of the moon whatsoever. The Carina Nebula (also known as the Great Nebula in Carina, the Eta Carina Nebula, or NGC 3372, as well as "Grand Nebula") is a large bright nebula that surrounds several open clusters of stars. Eta Carinae and HD 93129A, two of the most massive and luminous stars in our Milky Way galaxy, are among them. The nebula lies at an estimated distance between 6,500 and 10,000 light years from Earth. 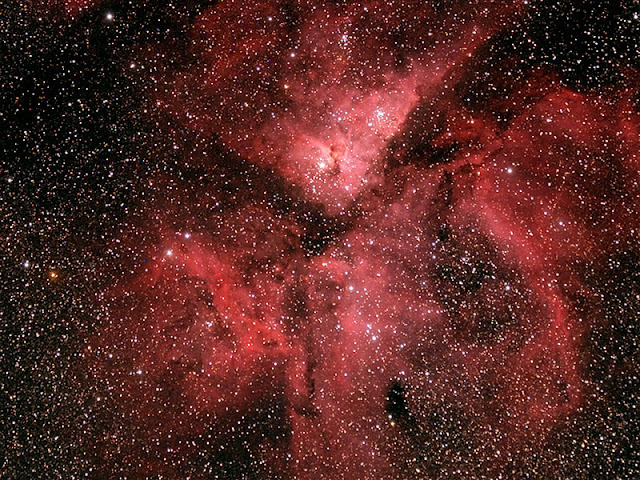 It appears in the constellation of Carina and is located in the Carina–Sagittarius Arm. The Carina Nebula is one of the largest diffuse nebulae in our skies. Although it is some four times as large and even brighter than the famous Orion Nebula, the Carina Nebula is much less well known, due to its location far in the Southern Hemisphere. It was discovered by Nicolas Louis de Lacaille in 1751–52 from the Cape of Good Hope. 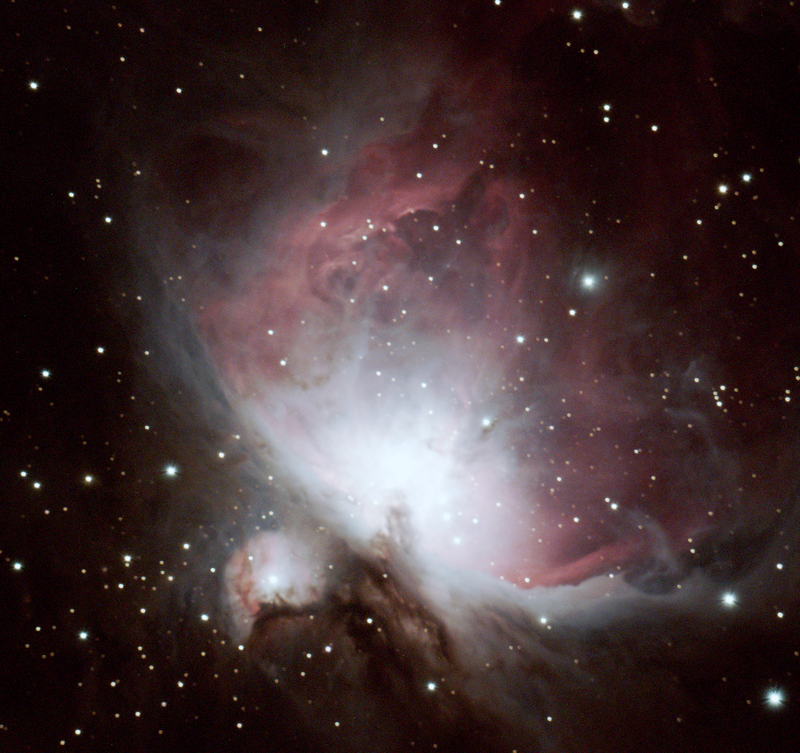 The image is a 15-minute exposure taken with an SBIG ST2000XMC One Shot Color CCD camera through a Takahashi SKY90 3" (90mm) Apochromatic Refractor (pictured left) provided by iTelescope.net. Processing was done with SBIG CCDOps software and Adobe Photoshop CS6. 3x5 images were stacked with 3 synthetic luminance images created from each color image for noise reduction. One shot color CCD camera can provide interesting images (if processed properly with synthetic luminance images) just as well, if not better, than high-end monochrome CCD cameras that use Red, Green and Blue color filters.